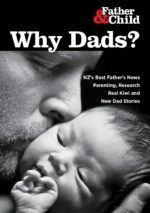 On the 2nd of March, 2008 Father and Child Trust Auckland, ‘came out’ in public. The event was the Toddler Day Out at Waitakere’s Trust Stadium. We were convinced that it was a better networking event than the Teddy Bear’s Picnic. In the end, we were lucky that another Trust helper attended Auckland’s usually more popular, domain based fun day. After meeting and being given a handy sand-pit, by Annie Gordon of Barnardos, one of the organisers, we knew our visitors would be able to chat, while the toddlers built castles. With a giant bouncy Castle and busy dance and activity stage, the fun was everywhere, and we struggled to keep up with the visitors. Among the Dads and mums were other stand representatives who had noticed us. We got a lot of ‘finally’ and ‘thank-goodness’. Then, her assistant noticed my buddy Ian, recently returned from Australia, mainly to live here while he brings up his children, with his baby asleep on his shoulder, beside me. They had to take the opportunity, three fast grins were assumed and the flash went pop! We were glad to be noticed, but I was not sure if I wanted to be seen in that photograph. In fact, we met so many good contacts it needed to be a special person to stand out. Then, when Eva Scherer first met me, within a few minutes, she had me happily being photographed outside her pink drop tent and then smiling, sitting right inside! There I had been, feeling reluctant in a photo–opp. with a VIP, yet happy to be pink?